Self Cure Remedy details of Apply honey for the care and relief of Sunburn, including effectiveness and popularity scores of the remedy. 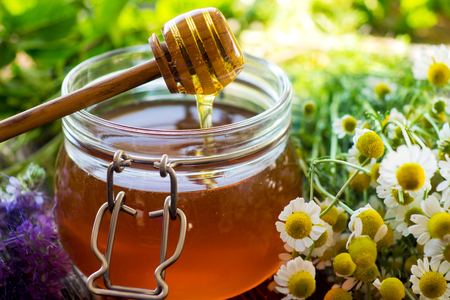 Applying honey to a healing sunburn can help the skin repair faster. Apply a thick coat of raw, natural honey to the affected area. The self cure remedy of Apply honey for the care and relief of Sunburn has an effectiveness score of 2.8 and a popularity score of 43 on the self-cure system.